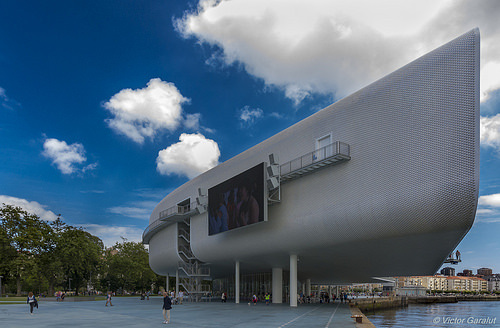 If you haven’t seen the images of Renzo Piano’s Centro Botin yet, where have you been? Check out these articles by Wallpaper, the Telegraph, Guardian, New York Times, the Financial Times, The Australian and many more media outlets that have featured this brand-new creation overlooking the bay in Santander. Inaugurated by the Spanish royal family in June 2017, footfall has surpassed projections and an injection of optimism as well as visitor numbers has been felt by all museums throughout Cantabria. If you can come to Cantabria in 2018, at Centro Botin, you will enjoy exhibitions by the Basque sculptor Cristina Iglesias, Catalan painter Joan Miró, and, painter from the Canary Islands, Manolo Millares. But who are we kidding – the real star of the show is still the building itself – and those of you keener on architecture rather than art will be happy to know that much of the building is open to the public free-of-charge. There is even an open rooftop viewing deck which provides amazing views of Santander city and the bay. You’ll love it and so will your kids. Cantabria has always been known for the quality of its raw materials but today, it’s the way these ingredients are combined and prepared locally that makes the trip here worthwhile. Don’t take our word for it. The 2018 Michelin guided added La Bicicleta in Hoznayo to its list of honours which means that Cantabria now boasts six Michelin-starred restaurants. And Cantabria’s kitchens are not only punching above their weight when it comes to standards but you’ll also find exceptional value for money across the board. It’s this combo that will keep the seasoned gourmet travellers coming back to Cantabria in 2018 and beyond. This awakening of a food scene in Cantabria stretches outside the region too. In Burgos (an easy day trip or add-on to a Cantabria based holiday) book a table at Cobo Vintage which was awarded its first Michelin-star recently and the chef, Miguel Cobo, is from Cantabria. In Madrid too, it’s easier than ever before to taste Cantabria’s burgeoning gastronomy scene. Today you can dine at no less than five classy Cantabrian restaurants in the well-heeled neighbourhood of the capital. 4 Cantabrian people are passionate about what they do! And it’s infectious! We get a real kick from seeing how visitors capture Cantabria and love coming across pieces like Making Passion a Reality. 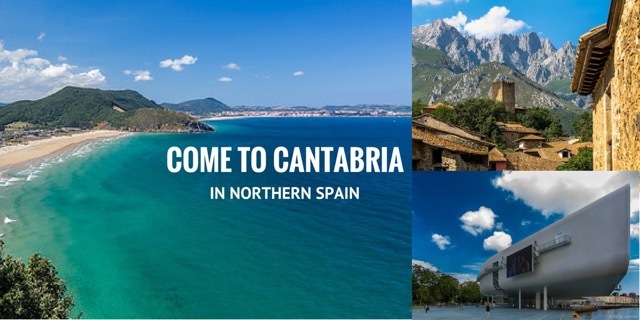 You see – when you get here – you realise that people here in Cantabria have a different take on life – especially when it comes to entrepreneurs who create a really great product while maintaining a great lifestyle and a sense of humour. Who are we talking about? The cheese producers like La Jarradilla who not only produce the best cheese in the region but they also organise great events to educate those of us who live in the area on other great producers inside and outside Spain. Craft brewer Dougalls that operates from the lovely town of Lierganes. Andrew is referred to as the granddaddy of craft beer in Spain and he is a force to be reckoned with and his beers, ales and porters are spectacular. We are also very supportive of a new live music venue in Loredo called Bluemoon where among many musical styles ‘bolero‘ especially is celebrated. You might be wondering why ‘bolero’ would be featuring in a musical line-up in Cantabria. History provides the answer as significant trade lines were made between the region of Cantabria and Central America notably with Cuba. Returning migrants not only planted palm-trees to show their return from the Caribbean but many also brought back the music they listened to. Today, bolero is enjoying a bit of a renaissance in Cantabria and there is now an annual bolero festival held every November in Santander. We enjoy the culture and the musicality of the bolero and highly recommend a night out in Bluemoon. And what about people like golfer Gabriel Sota of Sota Golf Club in Agüero? Gabriel’s father was Ramon Soto, four-time Spain golf champion and uncle to Seve Ballesteros. Agüero’s 9-hole golf club was devised by Ramon and designed by Seve and you can experience the course (and hear all the stories) when you visit. BTW The course is conveniently located beside two Michelin-star restaurants: La Bicicleta in Hoznayo and Cenador de Amos in Villaverde de Pontones – which would make for a memorable day indeed. Scheduling activities with plenty of interaction with owner-managers is what we like to do when we travel and our clients enjoy it also. 5 Wineries in Cantabria are starting to ripen! Friends who live in La Rioja Alavesa thought we were having a laugh when we spoke to them about the developing wine scene in Cantabria. These artisan wineries aren’t the large powerhouses you’ll find in La Mancha or La Rioja but we enjoy them all the more for it. And they are starting to attract the awards and merit that they deserve. Take for example, Viñamar by Nates (2016) produced by Bodega Pago Casa del Blanco in Nates. It was awarded Gold Prize for its Albariño by the Spanish Union of Winetasters (Unión Española de Catadores), beating off stiff competition from the many excellent Portuguese and Galician wines in this category. 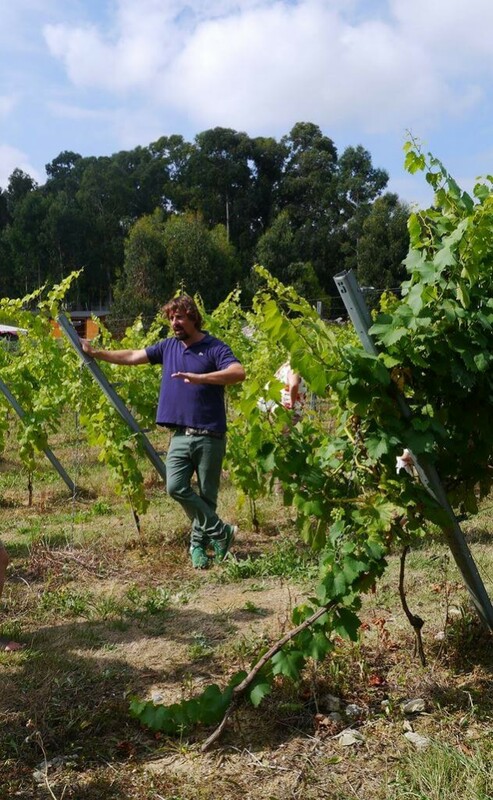 Almost all the wineries here are family-run affairs that are bubbling with enthusiasm and the owners are always willing to share their knowledge, produce and stunning off-the-beaten-track scenery. It’s the kind of place that really makes a holiday extra special. See what we mean in this post: A Land of Wine & Palaces and check out how we got on at Bodegas Vidular here. 6 See Gaudi’s designs as they should be experienced! When Gaudi designed many of his creations, he was being commissioned to deliver private residences that were never expected to handle millions of visitors every year. At times it feels like the soul of what he designed is being eaten away as necessary controls are adopted to protect his creations from their own popularity. But there are exceptions. Take the Capricho de Gaudi in Comillas, Cantabria. For sure you’ll come across visitors when you call in but the site is almost unchanged in 130 years. You can even see the gardens as they were designed by the Catalan genius. We recommend joining a free guided tour (in English or Spanish) to understand not just Gaudi himself but how he worked tirelessly to create a building that was 100% customised for its owner. 7 The Coastline is so Dramatic! And the Scenery is so Green! Whether it’s a tiny cove to hide away from the world, an urban beach with dozens of amenities that’s perfect for a swim and some people-watching, or a strand with the most dramatic cliffs you are likely to see in your life, Cantabria’s coastline has it all. We can’t list all our favourites but you should check out El Puntal, Galizano, Oyambre, Comillas and Berria (pictured below) plus Liencres and the Costa Quebrada. 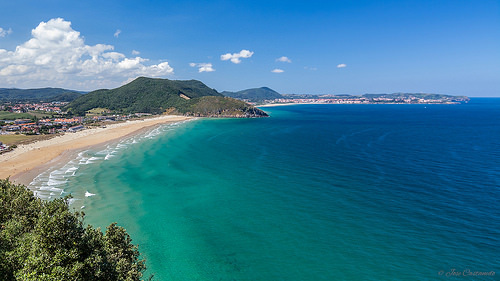 Add to that the historic dimension, because the Camino de Santiago follows this coastline, and the charming fishing villages that offer amazing seafood (at highly competitive prices) often a stone’s throw from the beach; and the ever-surging surfing vibe – which means that there’s always an atmosphere both in and out of the water. You’ll also find world-class caves with cave art, marshlands, marine reserves, mountain ranges, valleys, gorges and cascades. Be sure to bring a decent camera when you visit. Sometimes it’s worth highlighting how exceptionally well-priced accommodation is in Spain and Cantabria is no exception to this rule. Demand has been increasing year on year throughout the country and this is being felt in Cantabria also. Four new hotels are due to open in Santander alone in 2019. That said, capacity is currently only an issue in Cantabria in July and the first half of August. That doesn’t mean you need to avoid Cantabria in the Summer but it does mean you need to book in advance. Outside of this peak season, you’ll find amazing value whether you are looking to stay in a modern boutique hotel or a traditional palace, parador or country inn. And if you are thinking of holding an event in Spain, Santander and Cantabria offers great value and scope. Santander’s Magdalena Palace is used for many conferences of world significance including the UIMP Summer School but the hotels are also great at handling large groups especially outside the busy months of July and August. It’s funny how perceptions are so different. If you ask a local person at the end of the Summer in Cantabria whether the weather was good, they will probably say it wasn’t great. But they’ll still have had multiple visits to the beach, and gone hiking, camping and enjoyed more than their fair share of BBQs and village fiestas into the early hours. 10 It’s Not Very Touristy! Don’t you like discovering somewhere that nobody else in your circle has been to? Of course, you need to see Madrid and some of the other large cities when you visit Spain, but it’s so worthwhile spending time in a less-well-known destination. 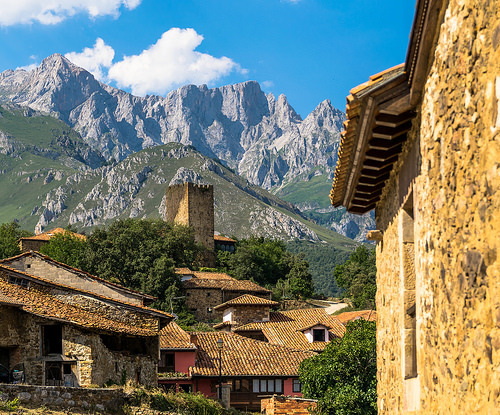 Cantabria really ticks all of the boxes when it comes to a quality destination worth visiting. And next door you’ll find lots of regions worthy of your time in Northern Spain including Galicia, Asturias and the Basque Country. (You can check out our guide to Northern Spain here and Boutique Destinations.) Pro-tip: If you want to find your own special ‘corner’ of Spain, Cantabria is still 100% real and untouristy yet it still has a great infrastructure with plenty of picture-perfect destinations and amenities to have a great holiday. Great people, amazing food, top class beaches, jaw-dropping scenery, excellent wineries, inspirational architecture and you’re still not convinced? Check out all our previous posts on Cantabria including this one on The 21 Images that Define Cantabria. Posted in Active breaks, Cantabria, Green Spain and tagged Bluemoon, Bodegas Vidular, Botin Centre, Camino de Santiago, Capricho de Gaudi, Cenador de Amos, Cobo Vintage, Cristina Iglesias, Dougalls, Joan Miró, La Bicicleta, La Jarradilla, Manolo Millares, Michelin-stars, Renzo Piano, Santander, Sota Golf Club, Viñamar by Nates.